Nick Barisheff, president & CEO of Bullion Management Group Inc. is interviewed on Fox Business and gives the reasons why he sees gold reaching $10,000 an ounce. If gold hit 10000 a ounce.Or silver hit 500 a ounce.It would indicate all currencies worthless.Markets wouldcollapse society ruined.How would you by goods?What currency would you trade your gold for to buy goods ,and services? Governments would then step in making precious metals illegal,so there would not be a run on the banks.Socialism when then predominant the landscape then it’s really over.So you better not want 10000 gold.The others issue is I have been hearing 10000 gold for 40 yrs.What is time horizon when this event is going to take place. Thank you for your inquiry and sorry for the delayed in replying. You have posed a number of excellent questions that are worth addressing. 2) The history of Gold. Over the long term, gold has fluctuated wildly through its history, but ONLY relative to currencies, not relative to purchasing power. 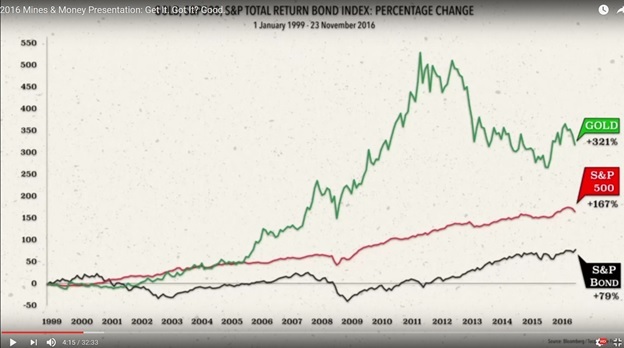 BMG was formed in 1998, until the fund was launched in 2002, gold ranged from$250-$320. 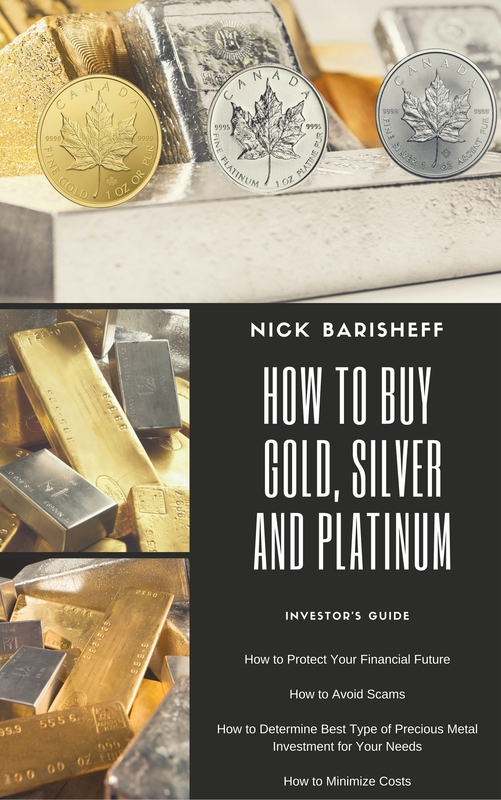 At the time, our founder Nick Barisheff was very bullish on gold and was confident that gold would rise from $300 to $1500 in about a decade or so. What actually happened was gold rose from $300 to $1900!!!! A 533% rate of return! 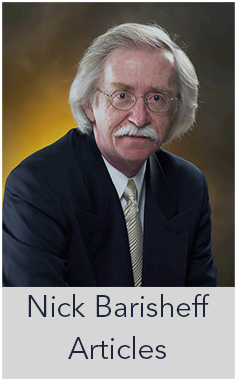 In 1999, when Nick had forecast a $1500 gold price, he was similarly questioned as per your inquiry. Have we seen currencies become worthless? Are we still able to buy goods? 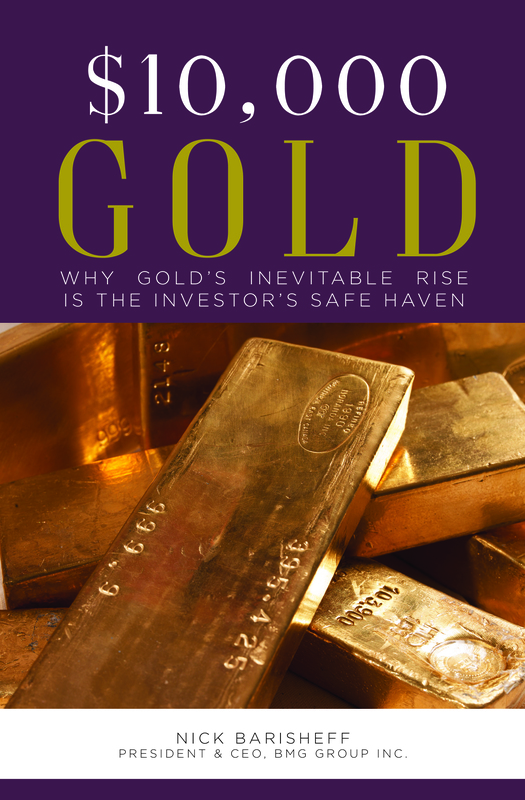 Are precious metals illegal? So, if we take the prior high of $1900 and assume that the next leg of this gold bull market sees a similar rate of return from beginning to end… what price of gold do you get? $1900*6.33= $12027. While this is conjecture and no one can really know for sure, the first thing an investor should ask themselves is, is this forecast without precedent? The answer is no. From early 1971 until the peak of the last gold bull market in 1980, gold went from $35 to $850. A staggering 24 times your money! Silver, by contrast went from $1.50 or so to $50 or over 30 times your money! This was a time when 0% interest rates did not exist, the term “Quantitative Easing” did not exist, and so on. In 1980, did we see currencies become worthless? Were we still able to buy goods? Were precious metals made illegal? In short, socialism is firmly entrenched already as the average Canadian family spends approximately half the year working for government services/taxation. With respect to ‘wanting $10,000 gold’, we are actually relatively agnostic to that as well. For us, it is not about ‘desire’ or ‘wants’. BMG was formed as our CEO Nick Barisheff forecasted a secular bull market in gold, he was proven correct as per the chart provided. We believe we are now in the last vestiges of a cyclical correction within a secular bull market. While $10,000 gold is nowhere near imminent, we think it is reasonable that gold could hit $10,000. If real interest rates remain negative, quantitative easing resumes/continues, the US government (and so many other nations) continue with unsustainable deficits, $10,000 gold could be a conservative long term forecast. We are on a path, where we will reach a critical point (known as a “Minsky moment”) when there is too much leverage in the entire system, where total tax revenues cannot pay the interest on the federal debt. In which case, as you noted, the currencies could become worthless. We don’t want it, but we can’t deny our propensity to ask the right questions (i.e. Can this continue?) and extrapolate outcomes using some basic math. Historically Debt levels tend to rise in tandem with the gold price. In 1980, for every billion in federal debt the gold price was $1. We had a debt of $850B… and the gold price hit $850. Why could this happen in 1980, but not happen in our future as the debts continue to rise? We could go on and on. It is worth noting that while our CEO has forecasted $10,000 gold, it was a long term forecast and we have NEVER suggested anyone put all their money in gold. We are in the business of educating both investors and advisors. Our mission, is to improve client’s portfolios through superior risk adjusted rates of return by reducing volatility and increasing performance. All of our material encourages clients to own a balanced portfolio that includes a mix of 5 asset classes (at a minimum). They include: Stocks, Bonds, Cash, Real Estate and Gold. We would encourage you to meet with an advisor, who understands how these 5 asset classes can complement not only your portfolio, but improve your life.